So you heard about the custom-fit difference, you downloaded the app, you found something you liked, and suddenly it's time to check out, but where's your prescription? You're not sure you ever got one, since your eye doctor wrote the script AND sold you the glasses last time. And besides, it's been a while and things are starting to get a little fuzzy; maybe you need a new script. Time to bail, right? Wrong. Place your order now. Email it to Rx@TopologyEyewear.com when ready. Not only can we complete your order before you get your prescription, but it's probably better if we do. We're not drop-shipping you frames that are sitting on a shelf, we're building them for you from scratch. Before that happens, we need to generate 21 different customizations on the frames, based on thousands of measurements of your face. There's a lot of work to be done, which is why it takes you about 4 weeks to get your glasses from us. Wouldn't you rather light that fuse sooner? There are certain things we can't do without your prescription. We obviously can't ship the final product. 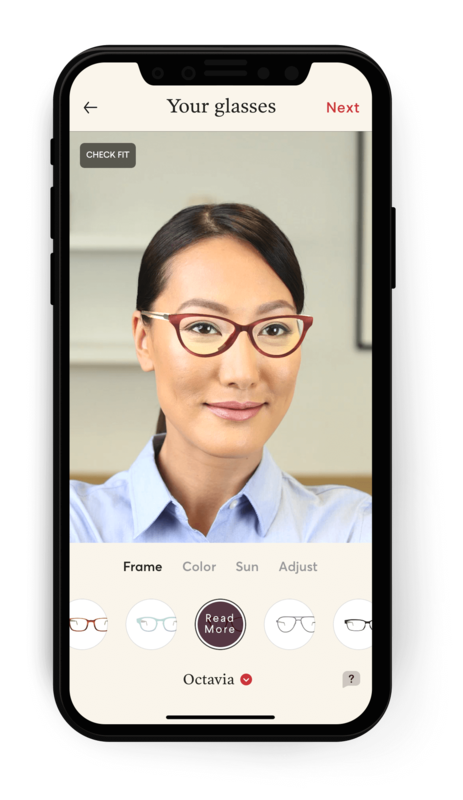 In fact, we can't even start the final frames, since we actually customize the frames around the optimal curvature for the prescription power of your lens. But we can start the design review of your frames, and even the prototyping process, which is fully half of those 4 weeks. Even more importantly, you get to hold your place in the queue. As a business without inventory, we take orders as they come and make orders as we take them. It is very much first come, first served. At times, the lines are longer, at times they're shorter. Once you place an order and submit your scale video, you start moving up the line, and once you're at the front, we'll hold your place at the front of the line until we have your Rx. So once you've found the look you love, go ahead and place your order today. Then find that prescription, or go make an appointment to get one, and send it in once you do. We'll be here, holding your spot in line.